Kanazawa, Japan – Tourism has been an economic tool for rural development the world over. Particularly in areas where agriculture has declined, tourists can help activate local economies and improve livelihoods. However, rural tourism's true impacts on the local environment and communities, and especially on individual households, have been hard to measure and interpret. Rural Japan, which suffers from agricultural decline and depopulation amid a "super-aging" society, poses unique challenges. The Japanese government has actively promoted "green tourism" since the 1990s, in which tourists visit and enjoy the attractions of rural areas. Yet there are few signs of this having a lasting positive impact; the agricultural sector and rural communities continue to decline. A team of researchers in Japan, centered at Kanazawa University, deeply examined rural tourism's impact on farm inns at the household level in the remote western peninsular town of Noto. Noto once had a thriving timber industry and now offers rustic accommodations, providing a humble and authentic countryside experience. The area has recently seen an increase in domestic and foreign tourists. The research team reported their findings based on in-depth interviews with accommodation providers in the journal Sustainability. "The average age of inn proprietors in our study in Noto was 70.3 years. They use tourism to supplement their pensions and other minimal income," one of the co-authors, Prof. Nisikawa Usio said. 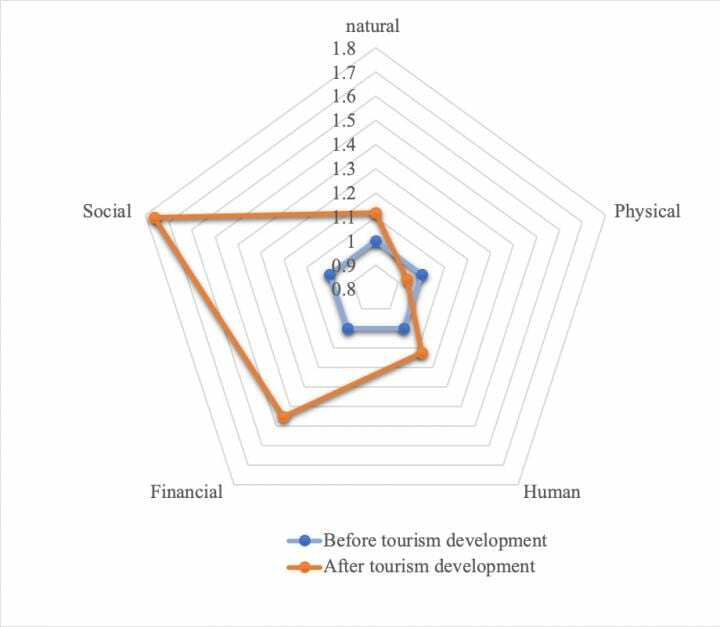 "We applied a sustainable livelihoods approach to consider physical, natural, human, financial, and social capital all as factors for comprehensively assessing the effects of tourism. We sought to accurately grasp tourism's impact on the farm inn households, rather than just giving a generalized portrait of the community and environment." On the whole, rural tourism's effects were found to be positive. It encourages preservation of landscapes and use of abandoned farmland. It also creates jobs, an aspect that motivates older people to stay active and preserve their traditions. The social aspects were especially encouraging. Many of the aging workers found it invigorating to engage with the range of visitors, who include foreigners and students. Conversely, the income generated from tourism industry is quite small, cost spent to repair old buildings need to be subsidized, and competition for guests is also reported among the inns. Seasonality also poses a stiff challenge, as the harsh winters keep most tourists away and visitors peak on holidays and weekends. Ageing farmers are actively involving in catering for tourists, however, Noto's greatest looming threat to long-term sustainability of rural tourism is aging. Many inns lack successors and the farmland and environment need to be maintained. "We found that the local hosts' quality of life generally improved because of tourism," another co-author, Dr. Zhenmian Qiu said. "However, economic gains were marginal. Working farmlands and other attractions, strong cooperation and leadership in the community, and governmental support are all keys to rural tourism's success in Japan into the future."